These are fun. 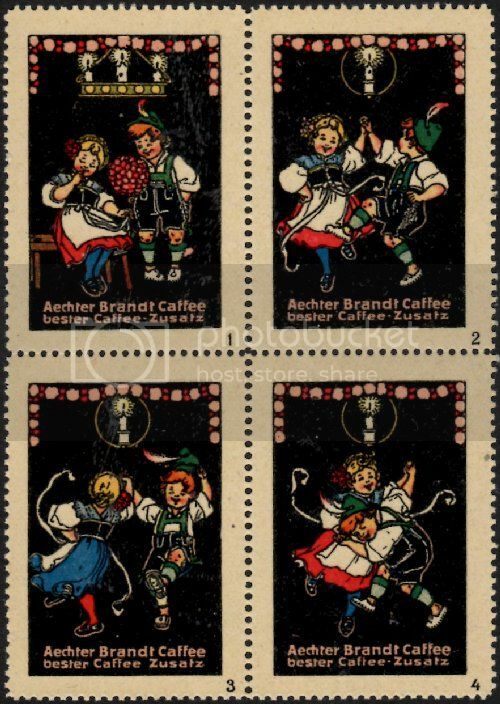 They remind of the most common Danish brand of coffee replacement, which issued collector cards of all sorts of subjects, which kids collected in albums. This went on for decades, certainly throughout my mother and her sisters' childhood. (I guess similar to cigarette cards in the UK, although I'm not sure). I only began to collect cigarette cards long after they were discontinued. The majority of mine date 1935 to 1950, though the later ones are American. Perhaps the war put an earlier end to them here? Tea cards often crop up in car boots locally, frequently stuck onto their albums. Fifty years on the adhesives commonly used lift off well with only a little encouragement. I am always impressed by how well cigarette card artists managed to compress so much information into a tiny space. Not as tiny as a stamp of course and without the additional constraints of requiring a price and country of origin. And rarely were these cards photographic. 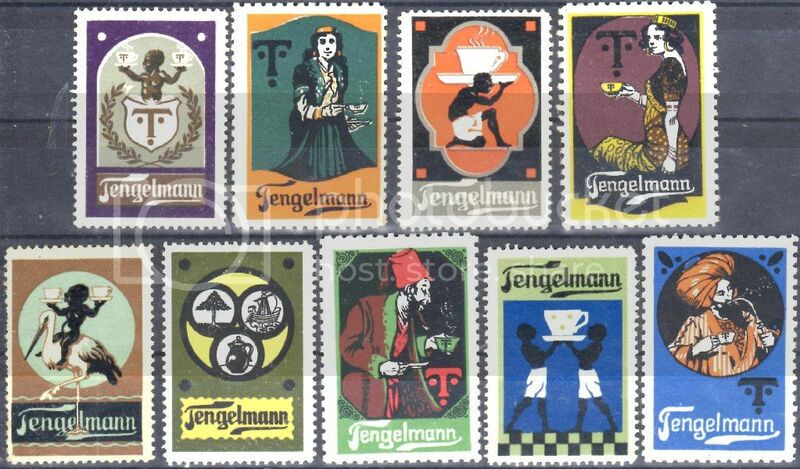 I wonder where the hand-painted originals for all these mini-masterpieces of 'commercial art' are now? Advertising stamps are very similar to cigarette cards and have the added requirements of branding and slogans. It must have been fun to find these on envelopes and parcels. Collecting them probably often started due to recipients not wishing to throw them away, in the same way that pictorial stamps have lead many of us into broader areas of philately. Not just tea/cigarette cards with information as well as nice artwork. 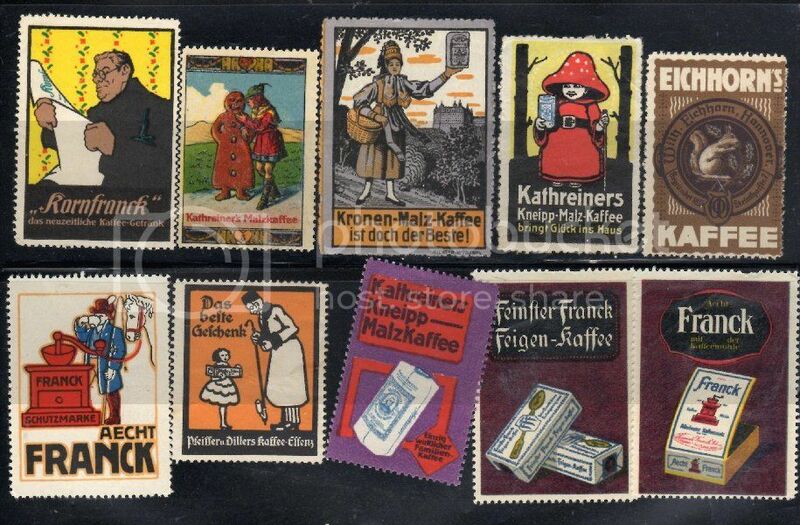 The Nestle / Kohler collector's stamps and their albums from 1910s and 1920s equally good. Very nice Steve! I will have to keep an eye out for all of these on eBay. For the DW fans here, which do you think is a plug for their Klatchian blend?